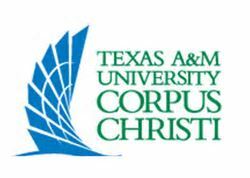 CORPUS CHRISTI, Texas – The string faculty in the Department of Music at Texas A&M University-Corpus Christi held the first Coastal Bend String Camp: Winter Chamber Music Workshop Guest Artist Concert on January 14. The Dalí Quartet, a classical roots and Latin soul string quartet, travelled from Pennsylvania to the Island University to perform a concert in the Performing Arts Center. The Dali Quartet in collaboration with the University’s String Faculty, Dr. Jose Flores, Dr. Carrie Pierce and Dr. Melissa Melendez, held the first Winter Chamber Music workshop as part of the Coastal Bend Suzuki and String Camp offered by the University’s Music Department every summer. The Dalí Quartet was also asked to teach during the camp to students from the University of Texas-Brownsville; Del Mar College; Texas A&M University-Kingsville; The Corpus Christi Youth Orchestra, and the Early Childhood Development Center. The Dalí Quartet’s captivating performances of traditional string quartet and Latin-American repertoire create an extraordinary concert experience that takes listeners on an eclectic journey of rhythm and sound. In the spirit of famed Spanish artist Salvador Dalí, the Dalí Quartet embraces imagination and excellence as central to its art form.